What I love most about a good RPG isn’t the game play elements, or how well I can specialize my character into the right way for my playstyle. While those two features still are very important to me, a good RPG to me is something that grabs you with its story. Tower of Time does this right. 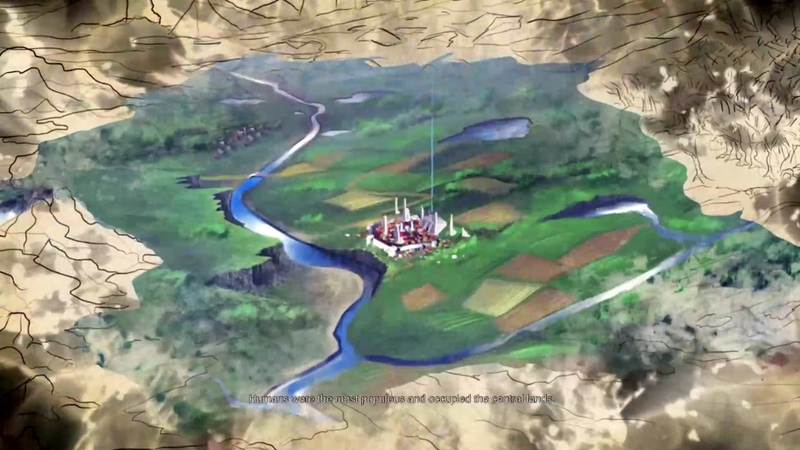 When you launch the game you are met with a video of the background story of Artara, the world that was once blossoming and ruled by gods, but now in peril with its inhabitants barely holding on with the little they have left. Throughout exploring the Tower, you will find pieces of the story together with the people that join you that also have no idea of what happened to the world they were brought into. You are putting the pieces back into the puzzle and discovering what the world was long before. This is what I value most: a story that makes you want to play more, like a book where you just can’t stop reading. Now let’s talk about the game play, which features a very unique combat system that I am still not sure if I actually like. When you are exploring the tower, you will find random groups of monsters that have their own history with the tower. Most of them are there to get rid of you, some because of their beliefs, and most because they simply they don’t know better. While I preferred to have afight on the actual map you are exploring, you engage the battle in a room, that is different for each battle. Many of them are frequently used, and the monsters, many times more than you encounter, spawn out of these portals scattered around the level and slowly come one at a time. The layout and idea of clearing the level sometimes differs, but it mostly comes all down to the same thing: Defeat everyone and be victorious. Depending on who is in your party, you can play around with their individual skills and controls and come up with your own strategy on clearing the level, and this is what Tower of Time really hammers down to. Being fast isn’t how you clear the levels; being wise and slowing down time is what eventually helps you conquer your victories. This is where it gets a little bit tricky, since you have to control your characters, for the most part, one by one. This is mainly because each has a different role and cannot really be controlled group wise, but is also because of their unique skills. So you have to click through each character to do their commands. And while you can use the environment to your advantage, it gets a little hectic even with a simple pause function in some of the fights. While controlling an individual character is easy, when you are in the midst of a big fight, and portals are opened all around you, it’ll get a little hard to micro manage all your characters, especially since you cannot fully pause the game, only slow down time. While I definitely think this system is very interesting, I would’ve rather had a normal pause so I could oversee the whole map a bit better, especially when in some of the fights you are pressured by time but can only see so little of what is going on. When you fail a fight, you always have the chance to try it over, or go back to your last save. Eventually you will hit a wall, multiple times, where you will find yourself needing to craft gear and level the skills of your characters. Returning back to the city allows you to customize your characters a little better. While you can do a few things back when you are clearing the tower, most of the crafting and tools can be found in the city. 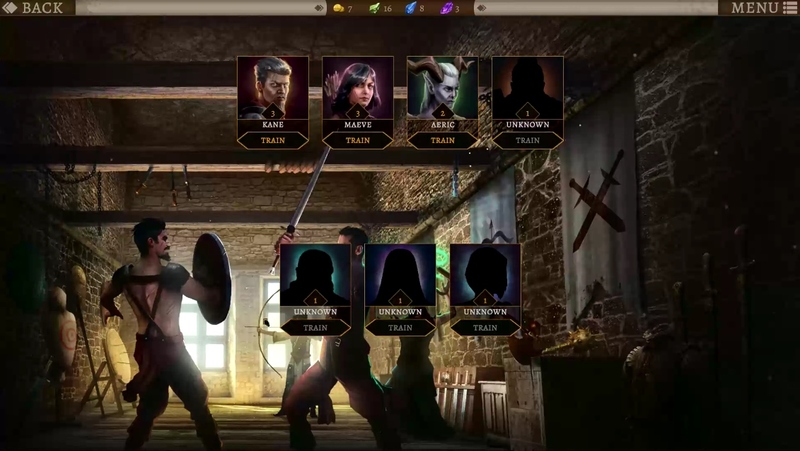 Each party member is tied to a building; when you upgrade one of these buildings, the members of that specific buildings are able to get better upgrades. You have to throw a lot of coin, that can randomly be found everywhere, to both your units and these buildings. When going through the tower, you will also find random gems. These gems have their own rarity and depending on how many you have, you will be able to craft gear with them. You will also be able to find enhancements that you can put on your gear, so a lot of time has to be spent coming up with the best possible gear when you hit a wall you cannot simply climb over by trying endlessly. 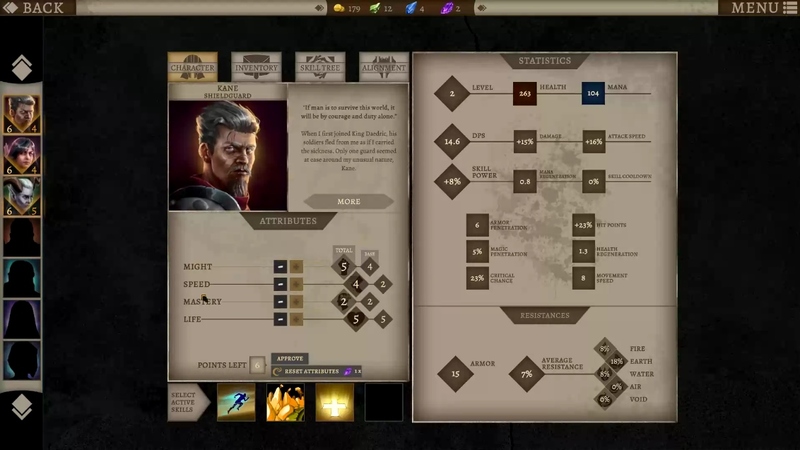 The same goes for skills; since your characters naturally will progress they will also earn skill points that can then be used in their own ability skill trees, which will enhance the skills in one way or another to your liking. 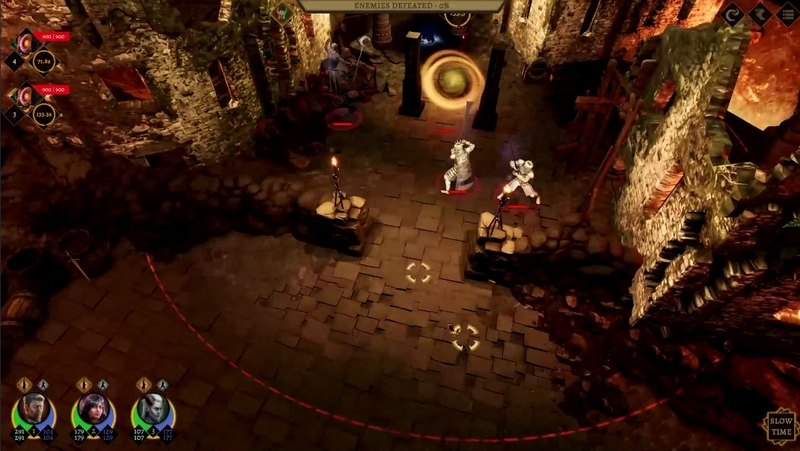 Tower of Time is a game that, because of its rich story, intrigues you to play more until you begin wanting more out of the game. While Tower of Time definitely is a very in-depth RPG, I felt like something was missing, and most of the time I was just doing the same thing for a while before something new and interesting came upon my path. 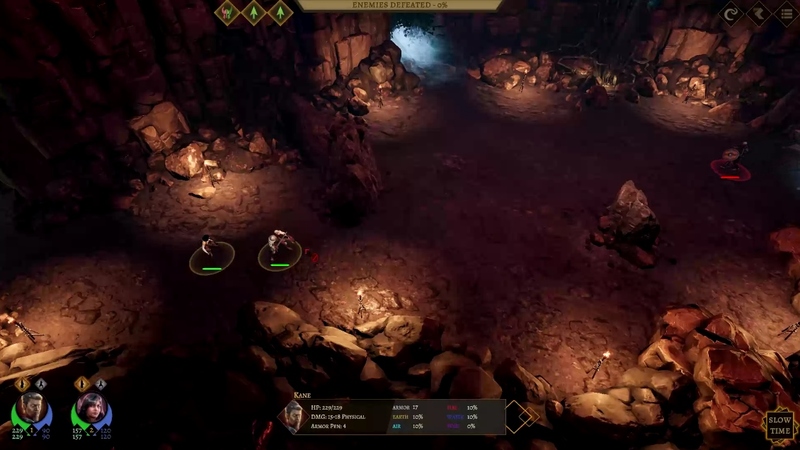 The combat system is a very interesting approach that I have both come to love and hate, and the character progression also feels a bit too linear and falls short. While the game is definitely not for everyone, it proves to be a very entertaining RPG nonetheless, and definitely a game worth its price. While the game does have its unique features, over time it made me question whether or not this was done right, and after a while I didn’t really feel like the progression of the game was worth pursuing. While the story is definitely interesting, and makes you run around with a lot of questions you are hoping to get answers for, it also falls off and the game feels a bit like a pointless grind. I like the game, it’s simple, fun and has a really good story, but for a RPG I want more. The game feels a bit too small and too linear.